MainAll NewsInside IsraelIsrael's Nationality Law: What, exactly, does it say? Israel's Nationality Law: What, exactly, does it say? Claims that the law is not strong enough conflict with claims of racism and apartheid. What's the truth? Read the new law in full. On Saturday night, Zionist Union MK Zouheir Bahloul announced his resignation, claiming his decision was in protest of the Nationality Law. Education Minister Naftali Bennett (Jewish Home) insists that the Nationality Law does not harm individuals' rights, but rather focuses on the State's national outlook. Since its passage earlier this month, rumors have been flying in all directions. Here, then, is the full text of the Nationality Law, translated by Arutz Sheva. 1a. The Land of Israel is the historical birthplace of the Jewish nation, and in it the State of Israel was founded. 1b. The State of Israel is the nation state of the Jewish nation, in which it realizes its natural, cultural, religious, and historical right to self-determination. 1c. The realization of the right to national self-determination in Israel is unique to the Jewish nation. 2a. The name of the state is the "State of Israel." 2b. Its flag is white, with two blue strips near the edges and a blue Magen David in its center. 2c. The State symbol is a seven-armed menorah, with olive leaves on either side and the word "Israel" beneath it. 2d. The national anthem is Hatikva. 2e. Details regarding state symbols will be determined by law. 3a. The complete and united Jerusalem is the State of Israel's capital. 4a. Hebrew is the national language. 4b. Arabic has a special status. Use of the Arabic language in government offices or to government offices will be required by law. 4c. The above does not harm the status of the Arabic language as it was prior to the passage of the Nationality Law. 5a. The State will be open to Jewish immigration and to the ingathering of the exiles. 6a. The State will invest in ensuring the well-being of members of the Jewish nation, and its citizens who are undergoing difficulties or imprisonment due to their Jewishness or their citizenship. 6b. The State will work in the Diaspora to ensure the continued connection between the State and the Jewish nation. 6c. The State will work to preserve the cultural, historical, and religious heritage of the Jewish nation among Diaspora Jews. 7a. The State sees Jewish settlement as a national value and will work to ensure and advance its creation and establishment. 8a. The Hebrew calendar is the State's official calendar, and the Gregorian calendar will be used alongside it as an official calendar. The use of the Hebrew and Gregorian calendars will be determined by law. 9a. 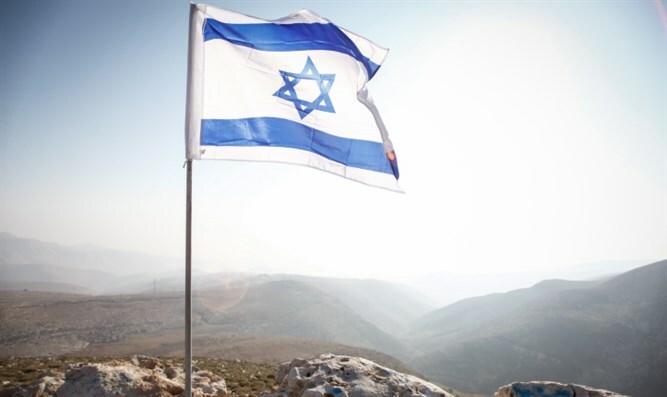 Israel Independence Day is the State's official national holiday. 9b. The memorial days for fallen IDF soldiers and the Holocaust are the State's official memorial days. 10a. The Jewish Shabbat (Sabbath) and holidays are the State's official days of rest. Those who are not Jews have the right to observe their days of rest on their Sabbath and holidays. Details will be determined by law. 11a. This Basic Law cannot be changed except by another Basic Law approved by a Knesset majority. The full and official Hebrew text, including concerns raised during and after the vote, can be found here.